Making the most of my last days of summer by baring skin in new places. To me, the shoulders are one of the sexiest parts of the body to show off in the summer. A left over sun kissed glow and a few extra freckles make them special. They are a reminder of summer more than no other. This top from Forever 21 shows them off in their fully glory. An everyday reminder of the warmest days of summer, sand in our hair and a childhood perspective on the world around us. Currently in Berlin, Germany right now with my sister Natalie and we packed some of our favorite Forever 21 items for the trip. Next time I update, it will be from Berlin! Beautiful sporty outfit! I like your overalls and sneakers very much! I love the way you styled these two pieces. The color combination is perfect, but more than that the top really makes the overalls much more sophisticated. They don't take away from the shoulder cutout and the outfit becomes so much more versatile. Love what you are wearing! 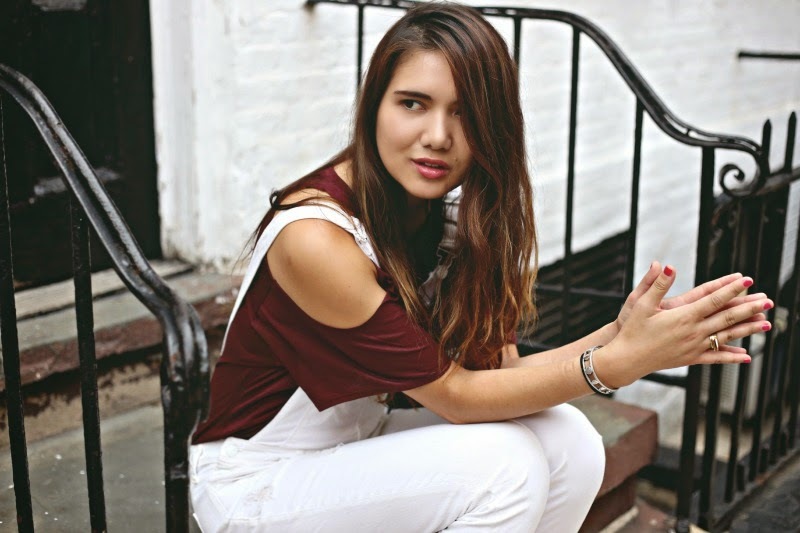 Overalls are my new favourite thing and you styled them beautifully. Gotta love a good cut-out! And you've styled it perfectly with the overalls... can I steal a few pieces from your closet? :) Enjoy Germany! I was there last summer for a day, and it was entirely too short of a trip. Safe travels! You look gorgeous, I love this outfit! Super casual and cool! Lovely top! I love the embellished details! Those sneakers are awesome. I need them, haha. 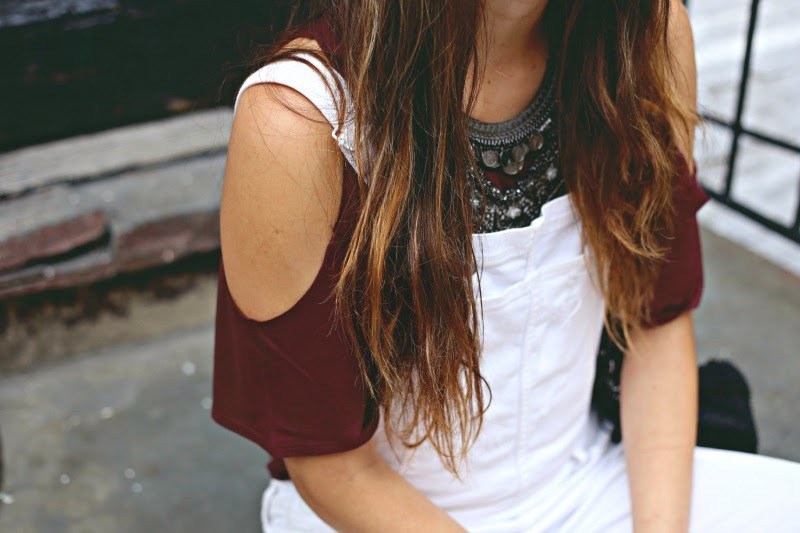 I seriously love the white overalls with the burgundy! Great colour scheme going on there! I love the cut-out shoulders as well, I've bought so many tops in that style recently. Great look!! This one is really great. You look stunning in these outfits.